Remodeling is the most common non-repair related service requested by Americans, typically for kitchens and bathrooms. While it’s fantastic to take the steps needed to make your dream home, the process of a large indoor remodel can be time consuming, expensive, and feel invasive. Unexpected problems can arise as well. What if some water damage is discovered in the process, or old and faulty plumbing is discovered? It would need to be repaired and replaced. Of course, this means a long and expensive project just became longer and more expensive. This is why we recommend to ANYONE considered a major home remodel to think about doing their project in steps. Step-by-step remodeling is all about pacing out a large remodel, and dividing it into shorter, easier to accomplish steps. There are plenty of benefits to step-by-step remodeling that can make the entire process less stressful and even save you some money! If you wanted to remodel your bathroom, you would most likely want new plumbing fixtures. Instead of handling all of these new fixture installations at once, you could simply space out these replacements over the course of a year. How does that save money? Toilets account for 27% of water usage in the average American home. It’s estimated that on average, a low-flow toilet could save you $2000 over the lifetime of the toilet. Similarly, new lighting fixtures can be installed which can better optimize energy use in your home, lowering monthly energy costs. We have seen this scenario countless times. A client wants us to execute on the redesign of a room in their home. They are excited! They have all the replacements figured out. They want certain light fixtures, a certain type of wood flooring, a certain type of counter tops, they even know what they want the cabinets to be colored- until things actually start getting installed and in place. No amount of planning and imaging a project can sufficiently substitute the real thing, and sometimes the countertop you’ve selected just doesn’t fit visually like you thought it would. The problem here is obvious. 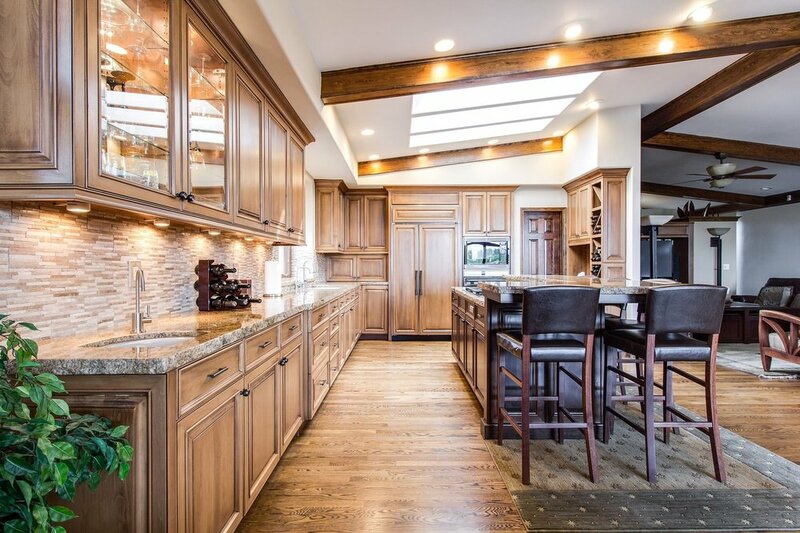 The owner can either stomach a countertop they no longer love, or settle to replace it with a new option on short notice, boosting the costs of the service and remodel. By taking a step-by-step approach to a remodel, you are given a healthy amount of time to decide the next step of the remodel and how that step should be approached. If halfway through the remodeling process you change your mind on what the cabinets should look like, that’s not a problem! You have ample time, ensuring you love the final product. Making changes to your home is stressful, and major remodeling is pretty expensive. It’s entirely understandable for a home owner to have some serious concerns and anxiety over the process. If you cram to many ‘goals’ for a remodel into a short time span, you’ll be placing a great deal of pressure on yourself. Setting a healthy pace assures that no single moment of the process is to much to deal with at one time. So what are you waiting for? Contact us today and get the ball rolling on that remodel you’ve been dreaming of!